In contrast to Biblical Christianity, Eastern Mysticism does not believe in a personal God but instead some pantheistic God that is not personal. But this finally brings them to the place where the word GOD merely becomes the word GOD, and no certain content can be put into it. 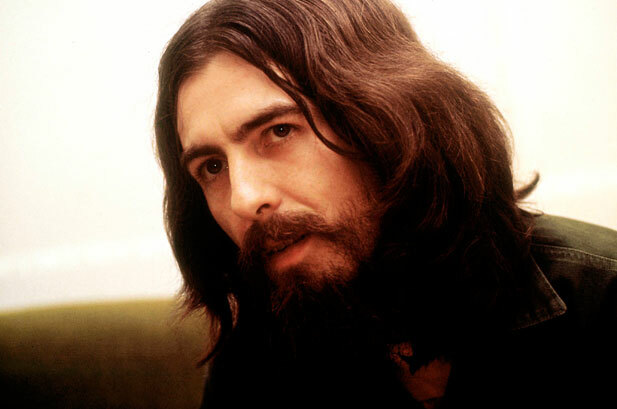 In this many of the established theologians are in the same position as George Harrison (1943-) (the former Beatles guitarist) when he wrote MY SWEET LORD (1970). Many people thought he had come to Christianity. But listen to the words in the background: “Krishna, Krishna, Krishna.” Krishna is one Hindu name for God. This song expressed no content, just a feeling of religious experience. To Harrison, the words were equal: Christ or Krishna. Actually, neither the word used nor its content was of importance. What does George Harrison have in common with Paul of Tarsus? Oddly enough, a similar message. I used to really love rock and roll, but due to my transformation through Christ I haven’t really been able to appreciate it on the same level as I used to. Recently I tried to listen to one of my formerly favorite bands, but realized that almost 90% of their songs offended my new belief system to such an extent that they were rendered pretty much unlistenable because I found myself arguing with the singer in my head the whole time. However, the Holy Spirit knows me well. One day, while I was commuting to work and listening to an audio Bible of Romans, my mind was suddenly taken over by a song I hadn’t heard in years. The song was “Awaiting on You All” by George Harrison. Right away I tried to push it aside because George was a follower of eastern mysticism, and much of his work was influenced by that. However, I couldn’t shake the song, and instead the Holy Spirit started overlaying the lyrics with what I was listening to in Romans and…it lined up…surprisingly well. If you don’t want your mind poisoned by rock and roll lyrics, I understand; so turn back now and read another article or something. But if you’re curious to see what the Holy Spirit spoke to my heart through something already ingrained in my mind, then read on and see that God can indeed speak to us through unexpected means. Alright, since this topic is based around lyrics, let’s mix up the format a little and examine said lyrics carefully while still not trying to break them up too much. You don’t need no bed pan. To see the mess that you’re in. Now here’s a way for you to get clean. Brothers, my heart’s desire and prayer to God for the Israelites is that they may be saved. For I can testify about them that they are zealous for God, but their zeal is not based on knowledge. Since they did not know the righteousness that comes from God and sought to establish their own, they did not submit to God’s righteousness (Romans 10:1-3). Therefore, just as sin entered the world through one man, and death through sin, and in this way death came to all men, because all sinned- for before the law was given, sin was in the world. But sin is not taken into account when there is not law. Nevertheless, death reigned from the time of Adam to the time of Moses, even over those who did not sin by breaking a command, as did Adam, who was a pattern of the one to come (Romans 5:12-14). For if, by the trespass of the one man, death reigned through that one man, how much more will those who receive God’s abundant provision of grace and the gift of righteousness reign in the life through the one man, Jesus Christ. Consequently, just as the result of one trespass was condemnation for all men, so also the result of one act of righteousness was justification that brings life for all men. For just as through the disobedience of the one man the many were made sinners, so also through the obedience of the one man the many will be made righteous (Romans 5:17-19). Since we were hopelessly lost through the sin of Adam and all of our personal sins, we were separated from God and ultimately doomed. However, the Lord provided a way for us to be made clean through his son, Jesus Christ. Alright, now we start to wander into heretical territory. …That if you confess with your mouth, “Jesus is Lord,” and believe in your heart that God raised him from the dead, you will be saved. For it is with your heart that you believe and are justified, and it is with your mouth that you confess and are saved (Romans 10:9-10). If you’re wondering if I’m cutting something out with the ellipsis, I’m not. The NIV Bible puts verse 8 (which we read earlier) and verse 9 as one sentence separated by a colon. Anyway, Paul tells us that the only way to salvation is to confess the name of Jesus as Lord while believing it in your heart. So the vocal aspect is important to our salvation. Another note is that George tells us that we should open up our hearts (he says it in the first verse), and that’s exactly what Paul is preaching that we do. We should open our hearts to Christ and his Holy Spirit and let them work in our lives as we profess our devotion to God. Pretty cool how God can move a nonbeliever to do his work through art, isn’t it? But that’s just the first verse, there’s more ahead. And you don’t need no visas. Before you can see Jesus. You’ll see he’s right there. He’ll relieve you of your cares. Holy crap, Jesus shows up! 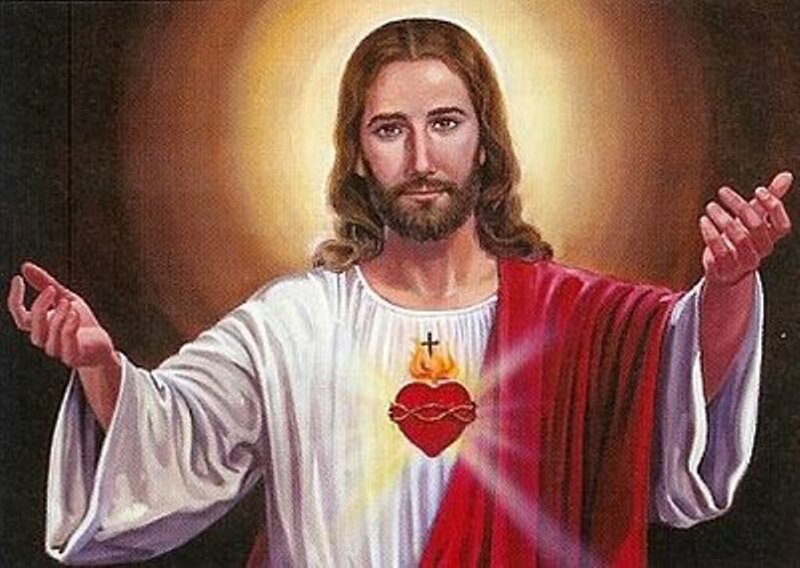 Before you start thinking that George was some sort of bastion of Christianity, take note that he was of the belief that Jesus, Buddha, and one of the Indian religious figures were all the same people and that a relationship with the Lord can be attained through any of these means- a popular but unscriptural (and dangerous) concept. However, his personal beliefs aside, George did hit the message of salvation on the head. Paul writes in Romans 10:12-13, “For there is no difference between Jew and Gentile- the same Lord is Lord of all and richly blesses all who call on him, for ‘Everyone who calls on the name of the Lord will be saved.’” No matter whom you are, where you’re from, or what your background is, the Lord’s arms are open to you to receive his forgiveness, grace, and to open a relationship with you. This is all made possible through the sacrifice of Jesus on a cross oh so long ago. “Wait, if it was long ago, how can I still be saved?” George and Scripture both tell us that Jesus has always been, and always will be. Check out Hebrews 13:8, “Jesus Christ is the same yesterday and today and forever.” Even Jesus, when confronted with his place in time by unbelievers explained that he has and always will be. We read in John 8:58, “’I tell you the truth,’ Jesus answered, ‘before Abraham was born, I am!’” Not only is Christ beyond the limits of time and his salvation unburdened by location, for those in Christ, Jesus is able to dwell within his believers. Paul writes in Colossians 1:27, “To them God has chosen to make known among the Gentiles the glorious riches of this mystery, which is Christ in you, the hope of glory.” And so we find just as Paul and George told us, by calling on the name of Jesus we will be saved. Oh the depth of the riches of the wisdom and knowledge of God! As such, if you seek out God, you will find him. Granted, his message isn’t everywhere (as I’ve already said, much of the music I used to listen to has been rendered unlistenable), but when you least expect it, Jesus shows up. And you don’t need no temple. To see that you have fallen. Someone’s thinking that we’re all green. The wrath of God is being revealed from heaven against all the godlessness and wickedness of men who suppress the truth by their wickedness, since what may be known about God is plain to them, because God has made it plain to them. For since the creation of the world God’s invisible qualities- his eternal power and divine nature- have been clearly seen, being understood from what has been made, so that men are without excuse (Romans 1:18-20). For although they knew God, they neither glorified him as God nor gave thanks to him, but their thinking became futile and their foolish hearts were darkened. Although they claimed to be wise, they became fools and exchanged the glory of the immortal God for images made to look like mortal man and birds and animals and reptiles (Romans 1:21-23). It’s gotten to the point now where we’re so apt to disassociate ourselves from God that we’ve hidden behind evolution and taught our children that they’re related to the lizards on the ground and the grass in the field because supposedly millions of years ago we all came from some lucky pond scum that gained life somehow. And if we can’t differentiate ourselves from the greenery and the fauna that surround us, then what is to keep us from acting like animals? Has this been mind-blowing so far? If not, sorry. I dunno, the Holy Spirit totally wowed me while he strung this together, even more so because I had only been able to remember the first verse at the time, and then as it turns out the rest of the song fits very well too. Alright, the last bit of the song can get a little confusing, but let’s see what we can do with it. And the stock exchange is the only thing he’s qualified to quote us. By chanting the names of the lord and you’ll be free. Paul goes on to remind us that rather than condemn others for their conduct, we should follow God’s method. He writes in Romans 2:4, “Or do you show contempt for the riches of his kindness, tolerance and patience, not realizing that God’s kindness leads you towards repentance?” God’s goal is to bring us to freedom through Christ, and he does so through his love and grace even while we are in sin. We too should look with mercy and kindness towards others even as they stumble along the path. Pray for those in sin, don’t yell or throw rocks at them or something like that. Jesus says in John 8:36, “So if the Son sets you free, you will be free indeed.” By calling on the Lord Jesus, you will be set free from sin and death and enter into a relationship with Christ. George Harrison wasn’t too far off in his song, “Awaiting on You All.” Do you think that it is wrong to make a non-Christian’s song Christian? Well, Paul has it covered, “We demolish arguments and every pretention that sets itself up against the knowledge of God, and we take captive every thought to make it obedient to Christ” (2 Corinthians 10:5). We take every thought captive in order to subjugate it to Christ. 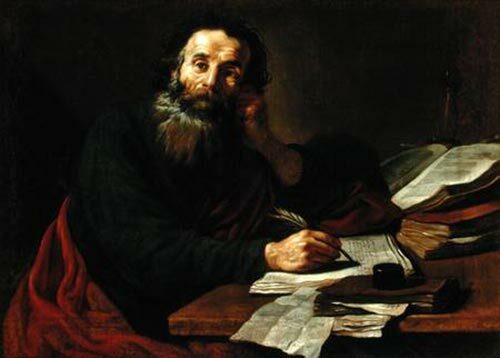 Heck, Paul even quoted a heathen poem and aimed it towards God when he was in Athens. The Bible records Paul in Acts 17:28, “’For in him we live and move and have our being.’ As some of your own poets have said, ‘We are his offspring.’” For those of you already in Christ: hold tightly to him. Hold on so tightly to Jesus that nothing in your life escapes the filter of the Holy Spirit, so that you can see God at work through all things. And for those of you who have not yet accepted Jesus in your life, find your freedom through him today; for the Lord is awaiting on you all to awaken and see that by calling on the name of the Lord and you’ll be free.